The news: A story from hoax site News-Hound claiming that British scientists from Liverpool's John Moore University have successfully cloned an Apatosaurus is getting a lot of traction on the Internet this weekend. But ... no, they haven't. The dinosaur, a baby Apatosaurus nicknamed "Spot," is currently being incubated at the University's College of Veterinary Medicine. The scientists extracted DNA from preserved Apatosaurus fossils, which were on display at the university's museum of natural science. Once the DNA was harvested, scientists injected it into a fertile ostrich womb. "Ostriches share a lot of genetic traits with dinosaurs," said Dr. Gerrard Jones, a biology professor at LJMU and the project's leading scientist. "Their eggshell microstructures are almost identical to those of the Apatosaurus. That's why the cloning worked so perfectly." 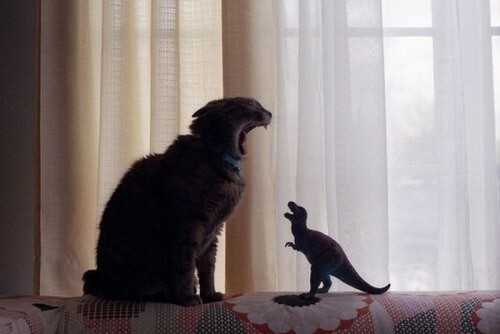 Those in the scientific community say the dinosaur cloning – the first ever of its kind – is a milestone for genetic engineering. "I used to think this kind of thing could only happen in the movies," said Dr. Gemma Sheridan, a LJMU chemistry professor. "But we're making it happen right here in our lab. It's astounding." Yeah ... no. Never mind the lack of sources, links or the various ludicrous stories lining News-Hound's sidebar (the name Gemma Sheridan, for example, was used in a previous hoax claiming Google Earth found a woman trapped on an island for seven years). Or that it would take approximately 10 seconds to verify that the photo of a "dinosaur" baby is actually a newborn, furless macropod (a kangaroo or wallaby). "I suppose it wouldn't be a good idea to cross the way of this dinosaur," said Christophe Hendrickx, doctoral candidate at the New University of Lisbon in Portugal. 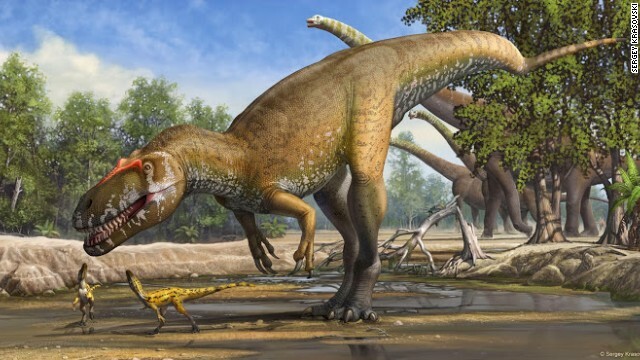 Thanks to Hendrickx and paleontologist Octavio Mateus, Torvosaurus gurneyi may have the distinction of being the largest terrestrial predator found in Europe. Hendrickx and Mateus describe this dinosaur in a new study in the journal PLOS One. However, in recent years it has become increasingly apparent that some of the material was rather older than had previously been thought. The new paper (of which I am an author) reviews the evidence establishing the geological age of these older fossils, and more importantly, suggests that they can be considered part of a new fauna. These older specimens come from a number of different localities, but they can be linked together by the presence of a salamander species. Radiometric dating work for numerous sites confirms an age of around 160m years old. We can thus use this species as a marker to help define what does and does not fall into this fauna and the dating suggests the existence of these animals over a relatively limited period of geological time.